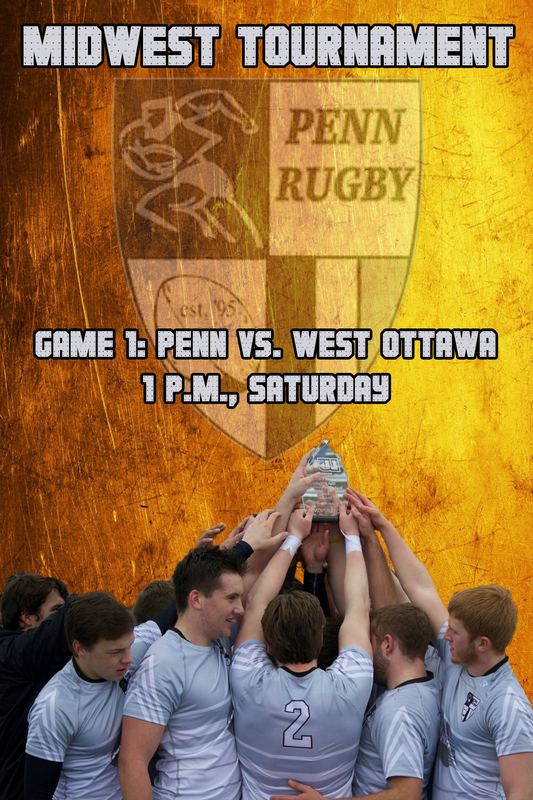 This weekend, the Penn boys rugby team will be hosting and competing for the Midwest championship at the Moose Rugby Grounds in Elkhart. There will be a lot of talent at the tournament. The tournament features seven nationally ranked teams. Five nationally ranked teams will be in the single-school bracket, the bracket that includes Penn. Penn and the rest of the field will be taking aim at defending champion and currently the top-ranked team in the nation, St. Edwards of Cleveland, Ohio. Currently ranked fourth in the nation, the Penn boys will open the tournament by facing defending Michigan state champion West Ottawa at 1 p.m. on Saturday. Penn should play the winner of No. 7 St. Ignatius against No. 17 Brownsburg at 6 p.m. on Saturday.